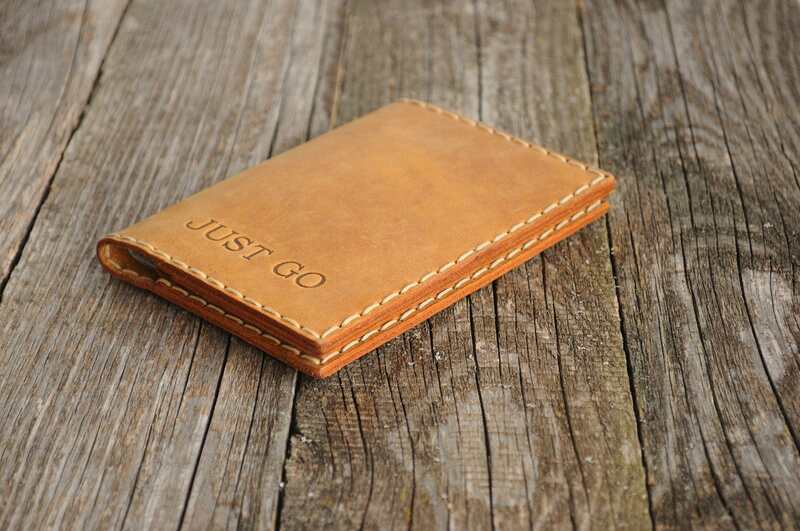 You are purchasing 2 genuine leather passport holders with secure wallet and personalized options. 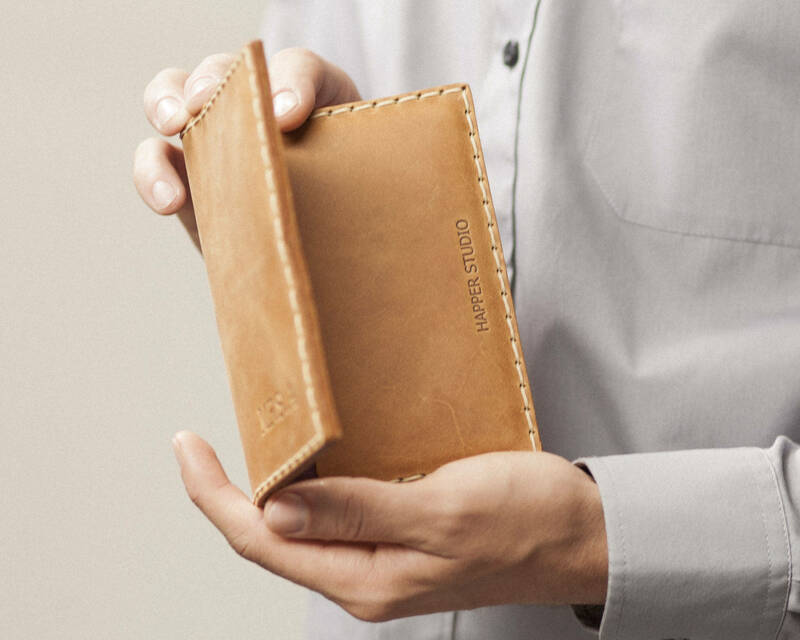 sure to be secure in this double passport holder and wallet. 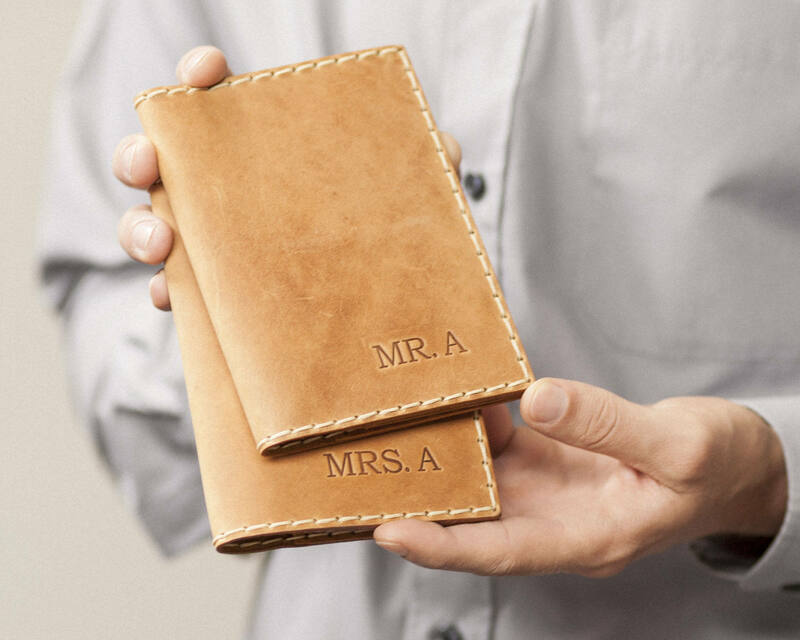 Not only is the leather and stitching impressive, but you can make these leather passport holders personalized to suit your own needs. 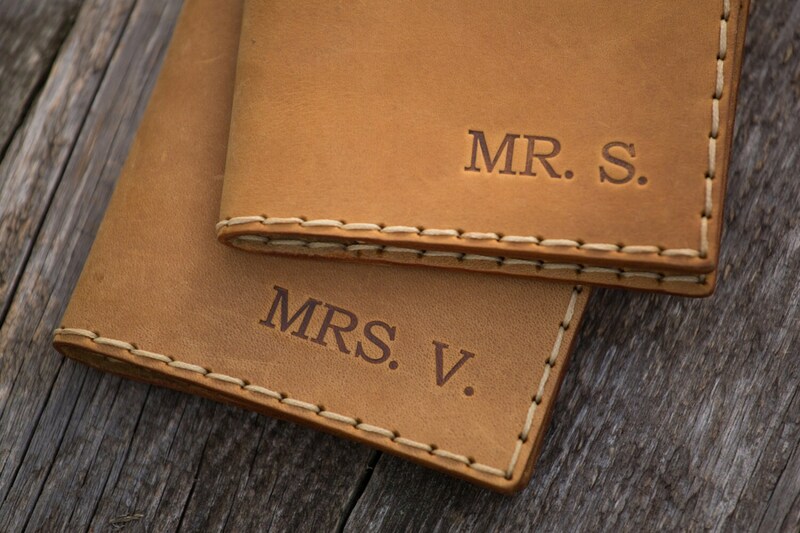 Whether you want initials or a personal motto, message us in the “notes” section after checkout, and we will be sure to emboss your product to your liking. 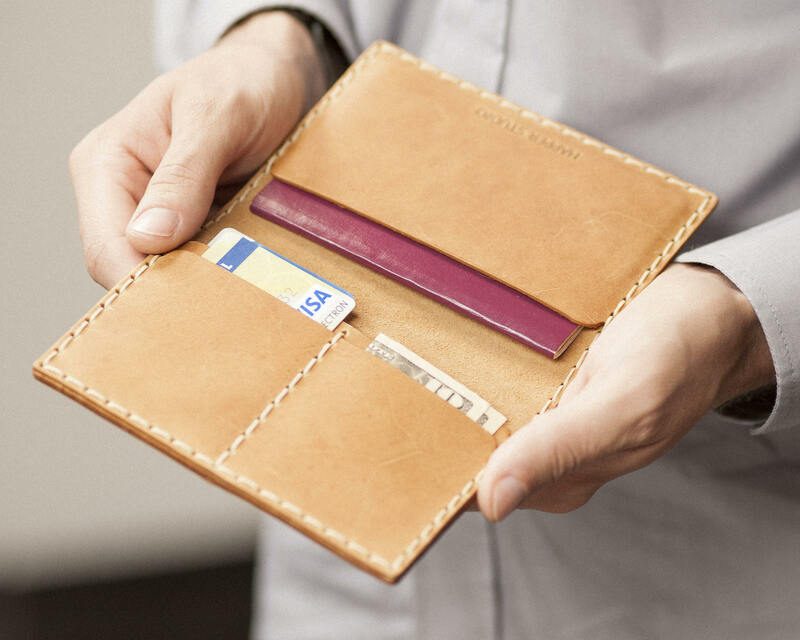 - Specify the message you would like to appear on the wallet. 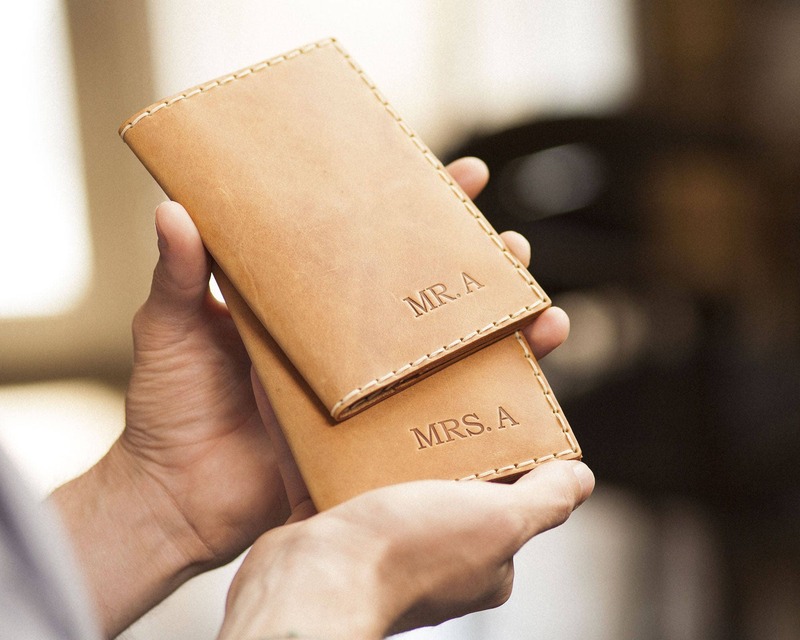 You can have up to nine capital letters for your leather passport holder. - We use "Bookman Old Style" font and all capital letters in size 36 font. Purchase a product from a team who prides themselves on customer service. Here at Happer Studio, we love to see you happy. Experience same or next business day shipping and a no-hassle return policy. 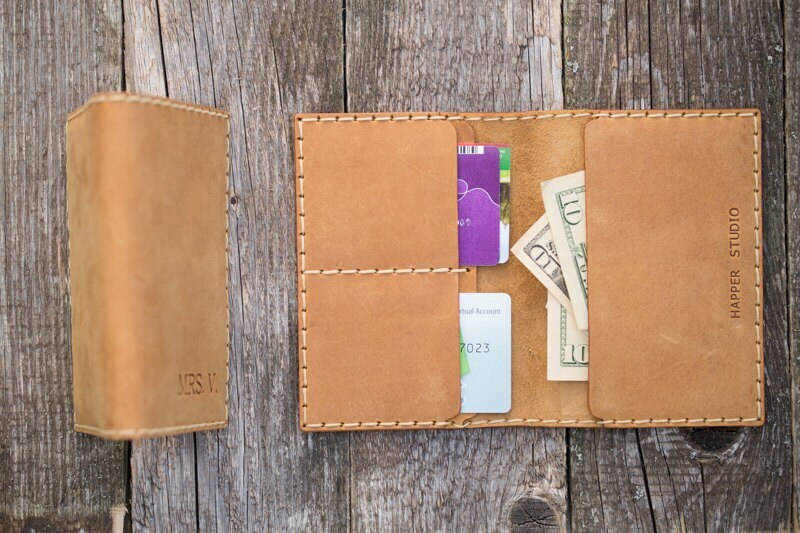 While we know you will love our products, we prioritize your happiness over a sale. 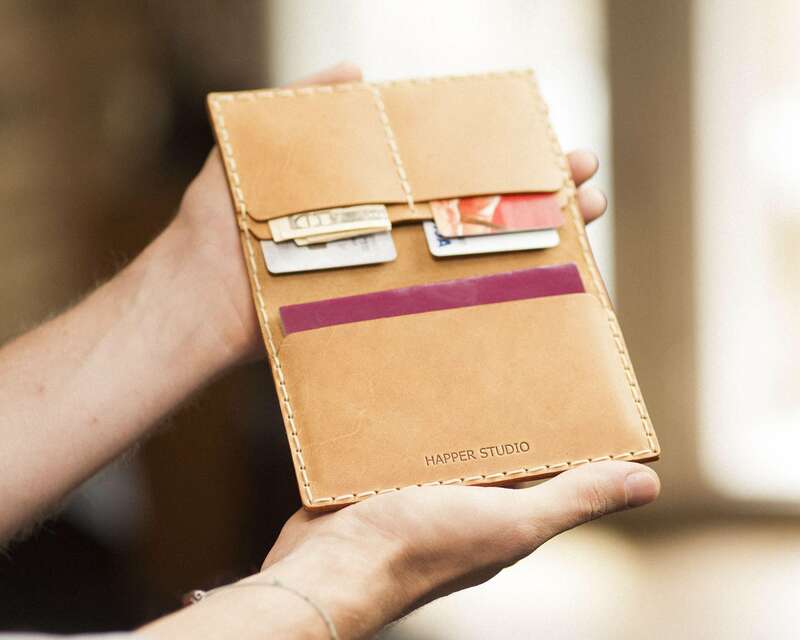 Happer Studio is a small family run business. 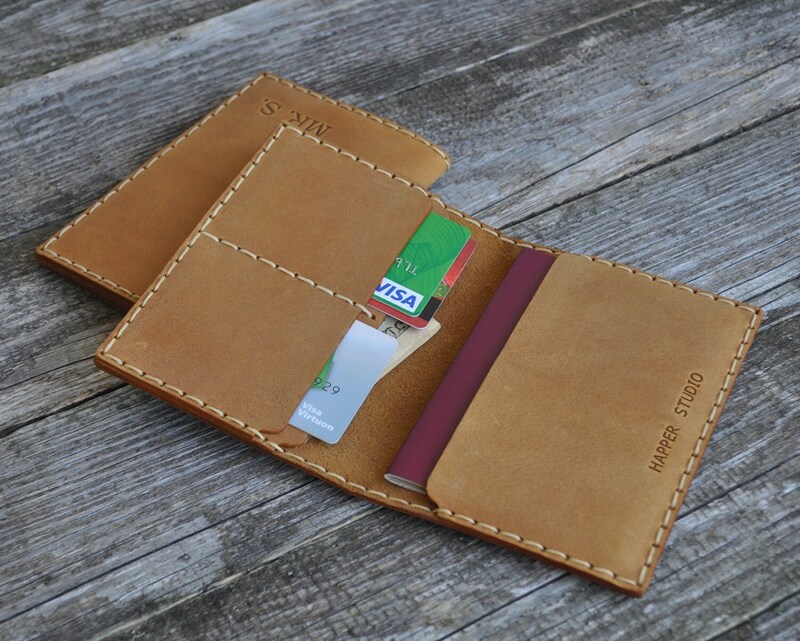 Our products include handmade leather bags, sleeves, cases, keychains, and accessories. Not so sure about this one? 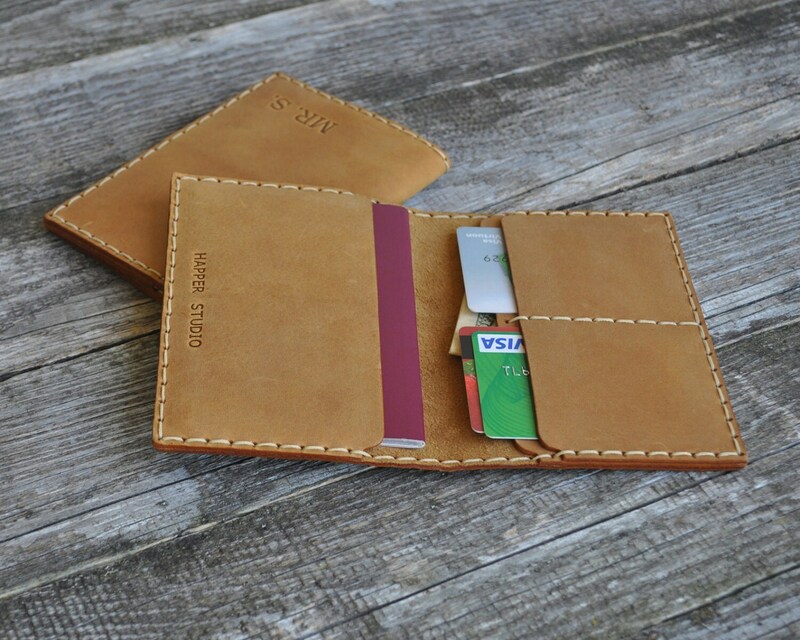 Take a look at some of our other wallets!